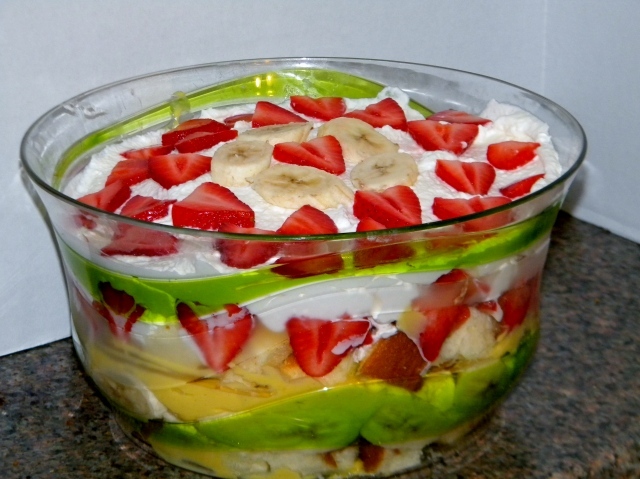 Posted in Words of Wisdom, Yummy in the Tummy and tagged banana, dessert, food, Grandmother Musings, Jennirific, Joy of Baking, picnic food, postaday, pound cake, recipe, strawberry, strawberry banana, Strawberry Banana Trifle, trifle, whipped cream. Bookmark the permalink. It is summer vacation, and the kids are home from school. Once the initial excitement wears off, what will you do to keep those Summertime Blues away? Here are some ideas to keep the kids active and have some fun while you are doing it. 1. Plan a visit to your local museum. It is air-conditioned and interesting. Call ahead or check the museum’s website to see if there is a discounted day or “free” day to visit. This will help to keep costs low. 2. Pack up a cooler with some sandwiches and drinks; grab an old sheet, blanket or beach towel; and head for your nearest park for a picnic. The kids love eating outdoors, and they can also play at the park. 3. Visit a local Zoo. Many Zoos allow coolers and have outdoor picnic areas, so bring your own lunch and enjoy the animals. 4. Take a walk in a nature center or a forest preserve near your house. 5. Plan a treasure hunt or scavenger hunt complete with a map and prizes. 6. Have an old-fashioned water-balloon fight. 7. Collect some rocks on your nature hike, picnic, or walk around town. The rocks should be no larger than your palm. Clean them up and spend an afternoon painting them. Homemade “Pet Rocks”! 8. Rainy Days are no problem. Plan to have a “Rainy Day” Movie Festival. Set up the Family Room or Living Room with chairs, make some popcorn, and watch your favorite movie together. The Library is a great resource for DVD’s and Video Cassettes. 9. Backyard Camping can be a blast. Set-up the tent in the back yard, and if you have a portable fire pit, cook up some Smores and tell stories around the campfire. 10. Service projects can be fun and can help teach kids to think beyond themselves. Try picking up garbage on your street. Plant some marigolds or other annuals in small clay pots and give them to the neighbors. 11. Have a game day. It can be outdoor games like “hide and go seek” or indoor board games. 12. Make hand puppets and put on a show. 13. Play in the sprinkler, go swimming or to the beach. 14. Set-up a time to visit with the local Fire Department or Police Department for a tour of the facilities. 15. Visit a Botanical Garden. Check and see if there is an ongoing exhibit. 16. Spend the day at the local Library. They often have summer programs for children. 17. Make chocolate chip cookies together. 18. Take the kids fishing. 19. Have the kids help you wash the car. Get buckets, sponges, towels and clean away while having fun. 20. Go for a bike ride. 21. Volunteer to help at an animal shelter for the day. 22. Teach the kids how to play Croquet, badminton, or tennis. 23. Create a time capsule. Use a container with a lid. Place items in the container that represent summer. Maybe add a few pictures or post cards from your adventures. Close it all up and put it away to open next year. 24. Tie-dye items like T-shirts. Allow children to choose their own colors. 25. Use some sidewalk chalk and create a hopscotch board. Have everyone play. Copyright © Jamie Nowinski and Grandmother Wisdom/ Grandmother Musings 2012-2013.Unauthorized use and/or duplication of this material without express and written permission from this blog’s author and/or owner is strictly prohibited. Excerpts and links may be used, provided that full and clear credit is given to Jamie Nowinski – Grandmother Wisdom/Grandmother Musings with appropriate and specific direction to the original content. Posted in To Parents with Love and tagged 25 Activities to Keep the Summertime Blues Away, beach, children, fun, Grandmother Musings, kids, museum, nature, outdoors, parents, picnic, postaday, small clay pots, Summer Vacation, swimming, Things to do, vacation, water balloon fight, zoo. Bookmark the permalink. A beautiful video of nature’s pollinators in all their glory. A must see! The work that must have gone into this video is astounding. I could not help but share. Posted in Words of Wisdom and tagged bats, beautiful thoughts, bees, butterflies, Grandmother Musings, hummingbirds, nature, Nature at Its Best, Nature in all its glory, postaday. Bookmark the permalink. 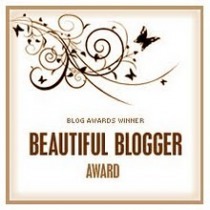 Grandmothermusings is blessed and grateful to be nominated for the Beautiful Blogger Award by Yellowlancer at Positive Word Magazine. She is one of the first blogs I started following just three months ago when I began my own blog. Positive Word Magazine always posts fascinating photos and prompts to shake-up the creative juices. · In addition, continue blogging all your beautiful thoughts, suggestions, and musings. More readers are coming! I. Word by Word Superbly written book reviews and quotes. Love it! II. Knowthesphere Deep thoughts and his excellent writing style keep me going back. III. Omnomalicious Superb place for superb recipes. IV. Mydearbakes Wonderful 3-D cake models. V. Preservation in Pink A site featuring great historic preservations pictured with interesting facts. VI. MaggieMaeI justsaythis Poetry and stories that always fascinate the reader with their truth. VII. Evoking the Deep Love to read Scott’s stories. Posted in Awards and tagged award image, awards, beautiful thoughts, creative juices, entertainment, Grandmother Musings, Grandmother Wisdom, literature, postaday, The Beautiful Blogger Award. Bookmark the permalink. It is Memorial Day Eve. Sgt. York, a great movie about a World War I hero is playing on the TV. During a commercial break, my grandson asks me what Memorial Day is and why we celebrate the day. This inspired me to do a little research concerning the history of Memorial Day, and how Americans came to celebrate it. I found out some interesting information that I shared with my grandson and I thought my reader’s would also be interested in reading the reasons why Memorial Day is observed. According to an article in Military.com, the crowd attending the first Memorial Day ceremony at Arlington National Cemetery was approximately the same size as those that attend today’s observance, about 5,000 people. Then, as now, small American flags were placed on each grave — a tradition followed at many national cemeteries today. In recent years, the custom has grown in many families to decorate the graves of all departed loved ones. Memorial Day was officially declared a Federal Holiday in 1967. On June 28, 1968, the Congress passed the Uniform Holidays Bill, which moved four holidays, including Memorial Day, from their traditional dates to a specified Monday in order to create a convenient three-day weekend. The change moved Memorial Day from its traditional May 30 date to the last Monday in May. The law took effect at the federal level in 1971. Cities and towns across the United States host Memorial Day parades each year, often incorporating military personnel and members of veterans’ organizations. Some of the largest parades take place in Chicago, New York and Washington, D.C. Americans observe Memorial Day by visiting cemeteries and memorials. Each year on Memorial Day, a national moment of remembrance takes place at 3:00 p.m. local time. Please take the time to remember a soldier. Posted in Words of Wisdom and tagged Arlington National Cemetary, cemetaries, Chicago, Civil War, Day of Remembrance, Decoration Day, Federal Holiday, Gen. Logan, Grandmother Musings, hero, Iraq War, john a logan, Korean War, Memorial Day, Memorial Day History, Memorials, Military, New York, postaday, Sgt. York, Soldiers, tradition, traditional dates, Uniform Holiday Bill, Vietnam, Washington DC, World War I, World War II. Bookmark the permalink. Drawing salve is an ointment that is used to treat a variety of minor skin inflammations. The ointment “draws out” problems such as pimples, boils, wood splinters, glass shards, and insect poison. For generations, this home remedy has been used to heal pimples, remove toxins from boils, bee stings and many other surface abrasions. To make your own drawing salve, follow the recipe below. 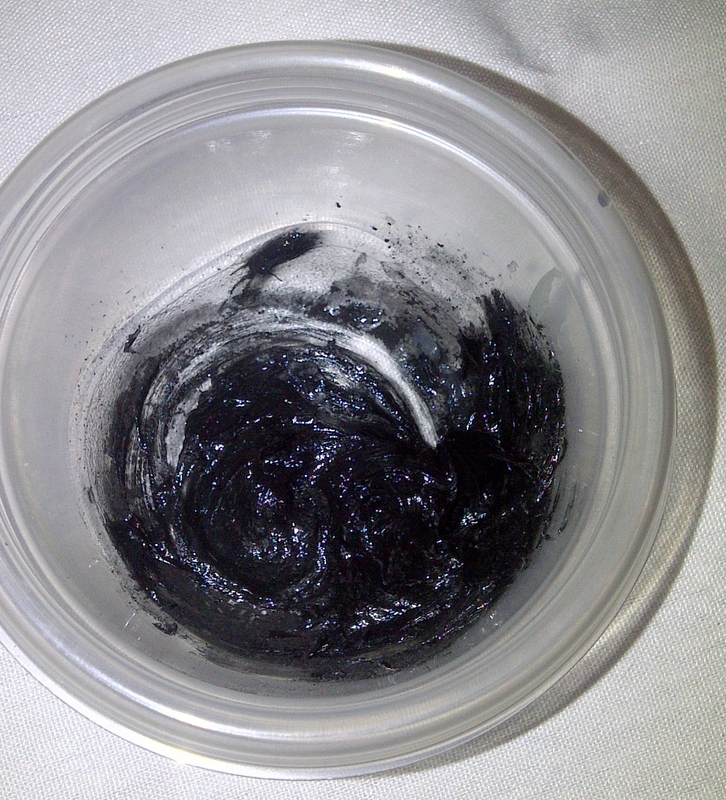 This salve can be kept in a clean container with a lid for several days. 1. Wash plastic container and lid with soapy water and rinse. Dry completely with a paper towel. 2. 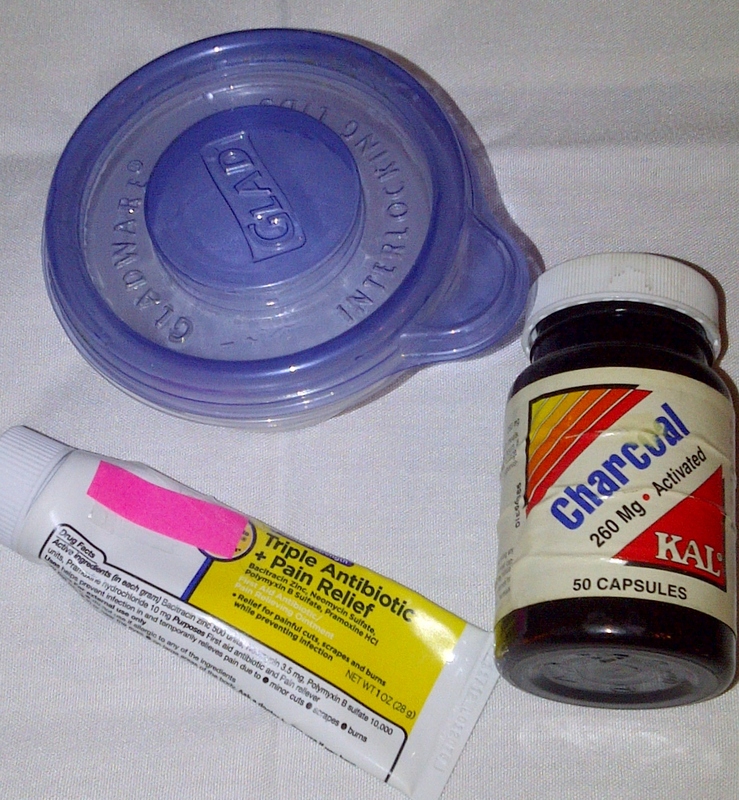 Measure out 1 Tablespoon of Triple Antibiotic Ointment and place in plastic container. 3. Open Charcoal capsule carefully and add the charcoal into the plastic container. 4. With a cotton swab or a clean toothpick, mix the Triple Antibiotic Ointment and the Charcoal together until the charcoal is completely incorporated into the Triple Antibiotic Ointment. 5. To apply, use a clean cotton swab and dab on affected area. Allow the salve to work on the area for a few hours. A covering such as a Bandage can be placed over the area. 6. Repeat as needed being sure to wash the area before reapplying the salve. 7. If the affected area becomes worse or infected, please consult your doctor. 8. This is homemade recipe. Use at your own discretion. Posted in How to do stuff and tagged bee stings, black drawing salve, boils, drawing salve, Grandmother Musings, Grandmother's Black Drawing Salve, homemade, homemade drawing salve, how to do stuff, How to make your own drawing salve, pimples, postaday, triple antibiotic ointment. Bookmark the permalink. Puns, a form of word play, are used to create humor and often require a large vocabulary to understand. You will know a pun as soon as you hear it and get the meanings. They usually make the listener groan…ugh. Newscasters love to use puns as do comedians and writers. Some famous people like William Shakespeare and George Carlin are known for their puns. Puns were also found in ancient Egypt, where they were heavily used in development of myths and interpretation of dreams. Below are a few puns, some are mine and a few are from other “punsters”. Feel free to share your favorite puns. Posted in Words of Wisdom and tagged economic downturn, energizer bunny, humor, It's A Punny Day, jokes, literature, play on words, postaday, puns, Stephen Wright, William Shakespeare, words of wisdom. Bookmark the permalink.